174 seats in our Study Rooms provide ample space for study and reading. By way of the main library entrance, enter the corridor on the left and continue until you reach the sub-entrance. 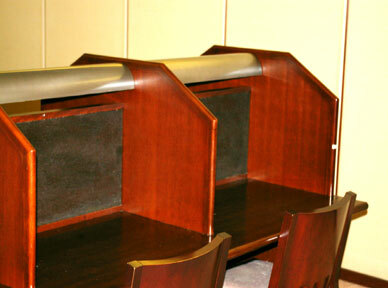 The Study Rooms are located towards the right of the sub-entrance of the library. 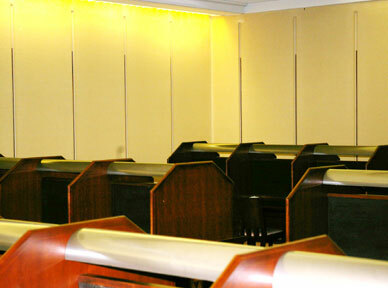 Our Study Rooms are used by a large number of students especially during exam periods and summer vacation. In times when a large number wish to use these rooms, room seating tickets are distributed in advance before the library opens in an effort to avoid accidents caused by those who rush to secure a seat. We ask that you not vacate your seat in our Study Rooms for a long period of time, and that you keep quiet as a means of showing courtesy to others.